One of the pioneers of the case study method, Harvard Business School Professor Emeritus Charles M. Williams died of congestive heart failure on Nov. 17 in Needham, Mass. He was 94 years old. Williams was best known for his work in commercial banking and his use of the case method style of teaching. His trademark class, “Management of Financial Institutions,” consistently attracted record numbers of students. A West Virginia native, Williams learned the principles of banking from his father, a local banker during the Great Depression. After graduating Phi Beta Kappa with a degree in history and economics from Washington and Lee University, Williams entered Harvard Business School at the tender age of 19. He then joined the loan department at Manufacturers Trust in New York City. In 1941, he volunteered for the U.S. Navy. As an ensign, Williams served as the paymaster for the aircraft carrier USS Lexington and taught at the Naval Supply Corps School at Harvard. After being discharged, Williams returned to the Business School in 1947, this time as an assistant professor. At Harvard, Williams earned a doctorate in commercial science, and in 1956, he received tenure and became a full professor. As a teacher, Williams was known for his iconic use of a pointer. 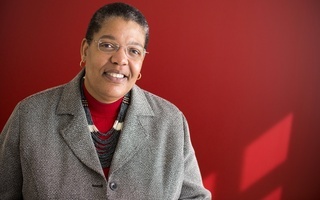 Williams taught classes to both Business School students and executives in professional development programs. In a 1990 interview, Williams said that working with executives allowed him to explore business problems. “I was learning as much as I was teaching,” he said. Williams was also active in business consulting, serving as a board member for Keystone Custodial Funds and as a trustee for the Chase Manhattan Mortgage and Realty Trust. He published hundreds of articles and cases and coauthored “Basic Business Finance,” a textbook that was used by over 300 colleges and universities. “As a teacher, researcher, author, wise counsel, and good friend, Charlie Williams has had an enormous impact over the years on all of us at HBS as well as upon the entire banking industry,” former Business School Dean John H. McArthur, who was a student of Williams, said in a press release. Williams is survived by his wife, Elizabeth Huffman, and his two children and three grandchildren. A memorial service will occur at the First Parish Church of Weston on December 3 at 10:30 a.m.
Prof. Perry has recently organized a historical society at Williams College, for original and extended work in history.